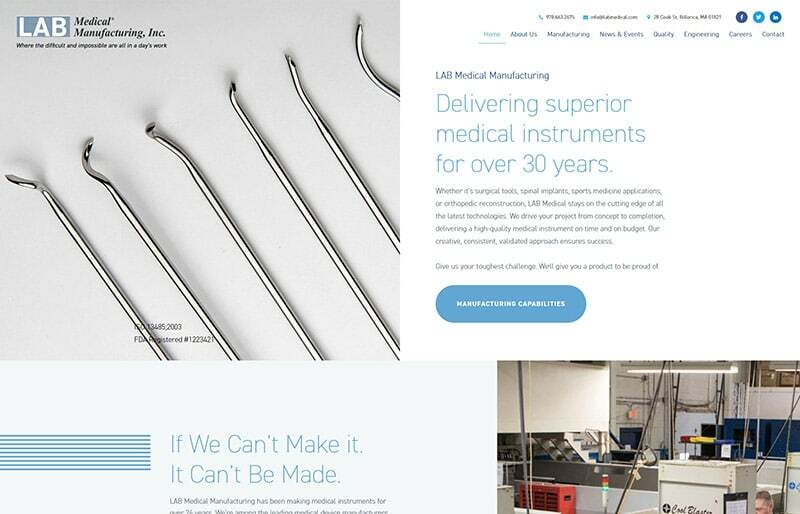 LAB Medical Manufacturing has been making medical instruments for over 30 years. They can examine a component and recommend the most efficient and most cost-effective solution to meet the shared goals of best cost and best patient outcome. These high end medical devices are made using a wide range of materials. Their main facility is located in Billerica, Massachusetts but they also operate a sister facility, Bester Medical System, located in Central Europe. 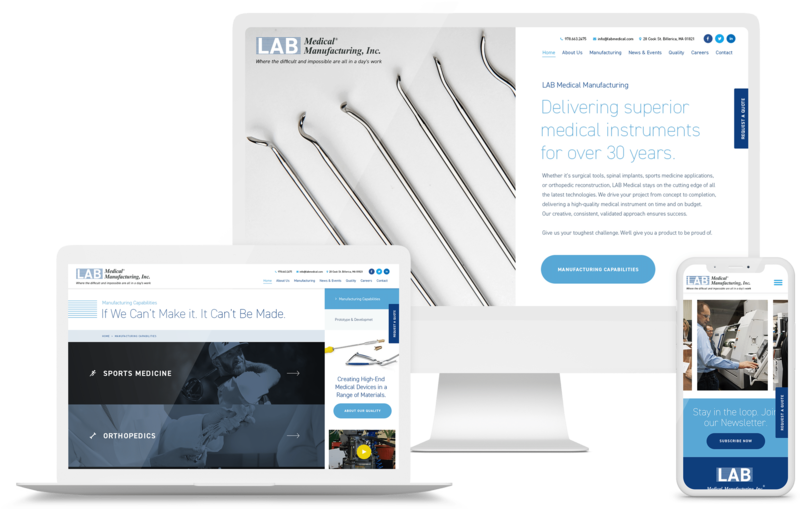 GoingClear Interactive was responsible for both the design and development of the new LAB Medical Manufacturing website. Their new website showcases some complex development work including advanced hover animations, a highly customized Request A Quote pop-up form, and an accordion-style Careers page with customizable bullet lists and fields. Like other clients, Lab Medical worked with one of our photographers to capture the perfect shots. 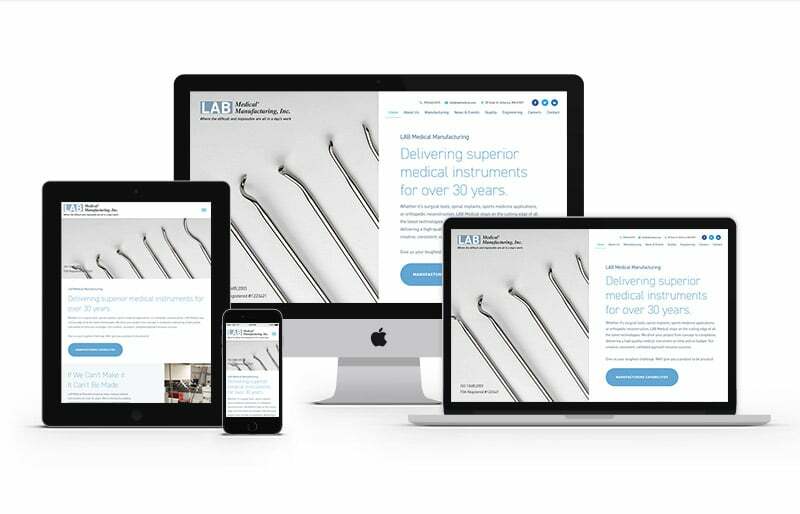 To top it off, the new site is responsive with optimized images and a sticky header, making it easy to view and navigate on any mobile device.